Just steps from this home is the Montecito Club house where all the action takes place. It has a fully equipped fitness center, dance studio, men's and woman's club house style baths with lockers and showers, an indoor lap pool and outdoor resort pool and spa, a 500 seat ballroom, pool tables, meeting rooms, lifestyle desk, lots of social clubs, snack bar and day/night tennis nearby. This home is a very clean and totally move-in ready San Miguel plan built on a 8712 SF corner lot to 2569 SF (EST.) in 2004. 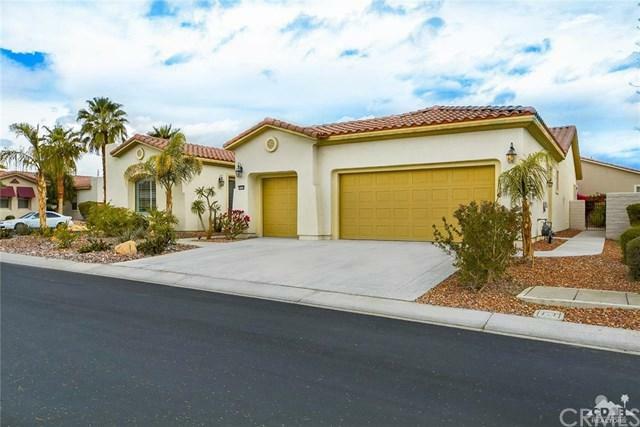 This home features two bedrooms with private baths, a large den with double doors, a powder room, family room, nook, formal dining/living room and a two car plus a golf cart garage. The kitchen has granite counters, 42 inch quality cabinets, white appliances, prep island and step-in pantry. The king sized master suite has patio access, dual vanities, jetted tub, separate glass enclosed shower and a massive walk-in closet. The peaceful patio has extra concrete below and cover above. Sold by Jelmberg Team of Keller Williams Realty.